Video art in Poland first emerged in the early 70s. 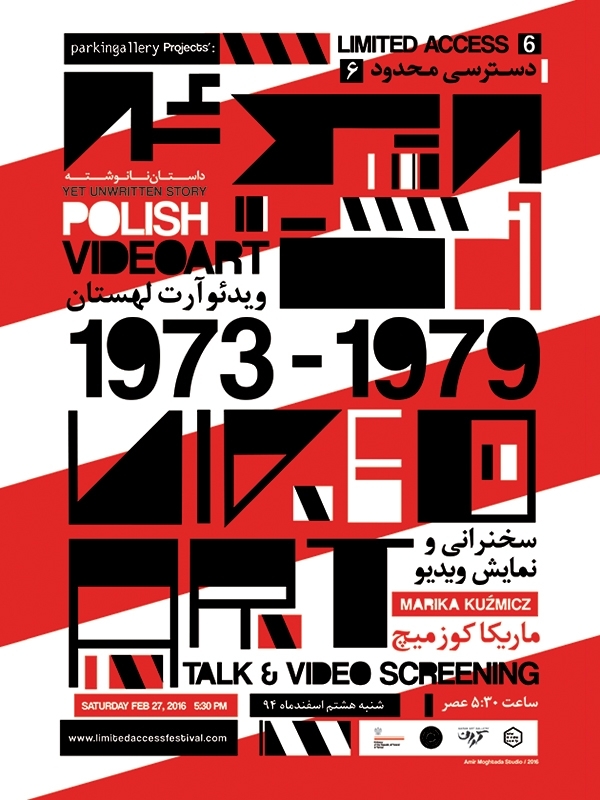 Despite the inaccessibility of equipment (like video cameras) in that time in Poland, video soon became important medium, used by polish artists in diverse ways. Avant-garde artists (members of independent experimental groups like Workshop of the Film Form and Gallery of Current Art), based on their experience of experimental film, explored the relationship between reality (visual reality) and the perception of the viewers. According to this, they used video to make viewers fully aware of traps and manipulations of mass-media and of reality. They analysed the properties of broadcast television and it role in everyday reality in communist country. Only a few of them, like Paweł Kwiek and Jolanta Marcolla (first polish female video artist) received access to the TV Studio. The result of this situation were significant works of Kwiek “Video A”, “Video C” and “Video P” (1974/5) and – not preserved works of Marcolla “Dimension 1-4” (1975). Polish video art of that time includes also video installations by Wojciech Bruszewski and Andrzej Różycki among others. Installations are evidences of intensive examination of the nature of this medium in the field of visual art in Poland and exploring its potential of communication of abstract ideas or communication, in general. History of early polish video still need to be developed but for now, important video works are accessible in Arton Foundation on-line repository. The goal of that document is to present selected, significant works and artists, based on the content collected by Arton Foundation since 2011. Dr. Marika Kuzmicz – a graduate of art history at the University of Warsaw, PhD in Institute of Art, Polish Academy Institute of Sciences in Warsaw. She conducts research on polish art of 70s. Head of Arton Foundation (Warsaw), non-profit organization, concentrates on researching and exhibiting polish art of the 70’s. The curator of contemporary art exhibitions, including “Conceptualism. Photographic medium “(Lodz, Poland, 2010) and” Conceptual Photography Poland “(Berlin 2011), “Doing the Impossible Light” (in cooperation with Florian Zeyfang (Warsaw 2015) and many others. Co-author and co-editor books devoted to the polish art of 70s. Lecturer at Warsaw University and Collegium Civitas (Warsaw).